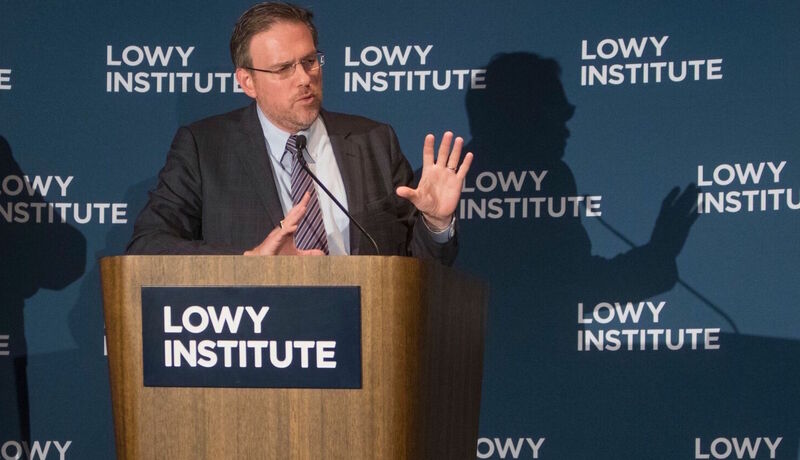 Last Saturday evening, the Lowy Institute held its annual dinner to announce the winner of the Lowy Institute Media Award. ABC Middle East correspondent Matt Brown was a popular winner, and he gave a great speech about the dangers foreign correspondents face and the importance of their work. Our disagreements may frequently hoarsen our voices, but they rarely sharpen our thinking, much less change our minds. It behooves us to wonder why. To disagree well you must first understand well. You have to read deeply, listen well, watch closely. You need to grant your adversary moral respect; give him the intellectual benefit of doubt; have sympathy for his motives and participate empathically with his line of reasoning. And you need to allow for the possibility that you might yet be persuaded of what he has to say. What is to blame for this situation, and how do we repair it? Intelligent disagreement is the lifeblood of any thriving society. Yet we in the United States are raising a younger generation who have never been taught either the how or the why of disagreement, and who seem to think that free speech is a one-way right: Namely, their right to disinvite, shout down or abuse anyone they dislike, lest they run the risk of listening to that person—or even allowing someone else to listen. The results are evident in the parlous state of our universities, and the frayed edges of our democracies. ...I do think there’s such a thing as private ownership in the public interest, and of fiduciary duties not only to shareholders but also to citizens. Journalism is not just any other business, like trucking or food services. Nations can have lousy food and exemplary government, as Great Britain demonstrated for most of the last century. They can also have great food and lousy government, as France has always demonstrated.